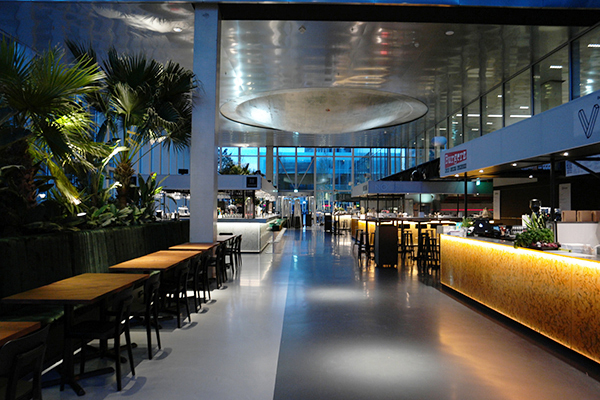 Hofhouse is a new foodcourt-concept in The Hague. 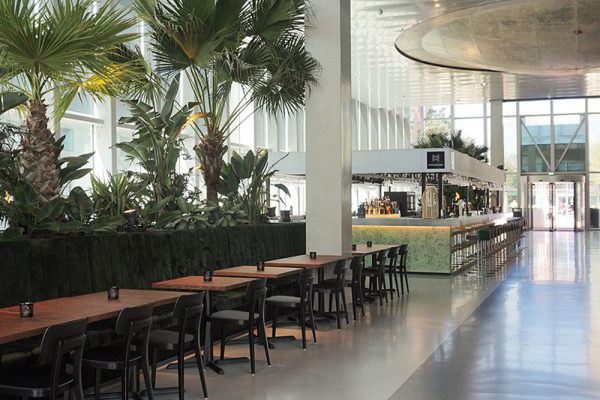 You can have lunch, diner or drinks in the open indoor space filled with restaurants and bars. It is situated opposite of the Central Station. The exterior of the building invites you in. There are trees and concrete modern benches, so you can sit outside as well. The trees are highlighted to draw attention to the food court area. From outside you also can see the eye catcher of The Hofhouse; the ceiling. Highlighting this special shape in the middle was a nice challenge. 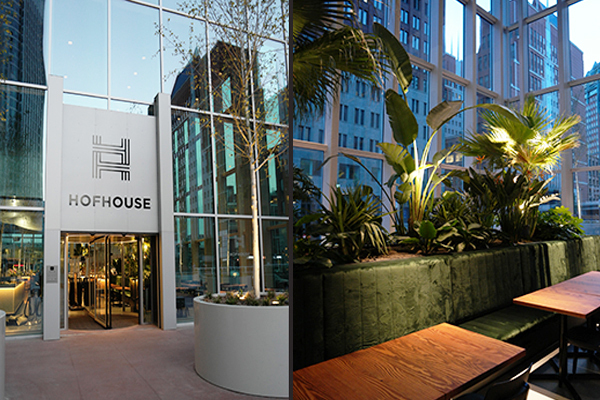 One of the characteristics of the Hofhouse are the huge houseplants. Together with the green couches they create a cozy environment to eat or drink. The food areas are higlighted by the illuminated bars. The urban jungle is also illuminated from inside the planters. 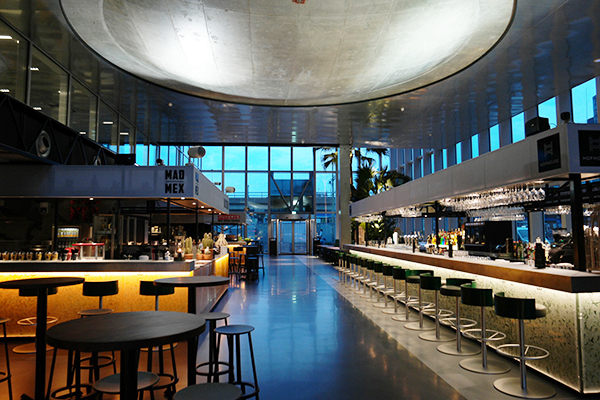 The Hofhouse opened in June 2017 and has been designed by architect OMA.